Now that most classic cars are sold through the Internet, the Cars On Line Inspection Referral Service has become an essential tool for any buyer. Before you buy, you should have a pre-purchase inspection. 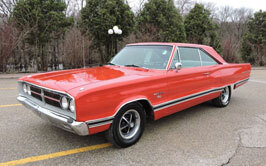 A classic car inspection is a first step in our How To Buy A Classic Car Online suggestions. 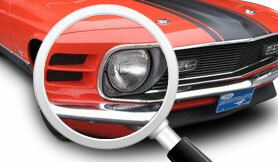 Never before has it been easier to get a classic car inspection or auto appraisal done. When you are dealing with online sellers you need a classic car inspector to act on your behalf. Remember, with Cars On Line’s Referral Service you get both a classic car appraisal and inspection. Cars On Line collector car appraisals have changed the way cars are sold on the Internet. Cars On Line’s network of inspectors makes it easy to get an independent analysis of the condition, safety and quality of the classic car, truck, or street rod you are thinking of buying. Our contractors are inspectors who are not affiliated with any sales organization. Their loyalty is to you the buyer. They are a disinterested third party. Cars On Line has standardized the process of inspection and appraisal so that you get the same type of service anywhere in the United States or Canada. Our inspector generates a four-page report on the vehicle. You also get a standard set of photos to document what we find out about each car. Plus each inspector is asked to take photos of anything he finds that is not right on the car, i.e. pitted chrome, bubbles in paint, rust in trunks or on frame etc. Click here to see sample reports. As part of every report, we give you an appraised value of what the vehicle is worth. Our inspector contacts the seller/owner of the classic car you want to have inspected, sets up the appointment and does the inspection. You receive a four-page report complete with an appraised value and supporting photos. You will receive the report via email. First we always ask you to contact the seller and tell him you want to have the vehicle inspected. That’s really important. If the seller objects to your request, he may be telling you something right there. We need the cooperation of the seller to do a good report for you. If sellers are not cooperating, our inspectors note that on the report. That’s always a bad sign. Use the online Place Order form. Our base rate for inspections and appraisals is $275. Our base rate applies in most of the large metro areas where we have coverage. Rural areas that require extra travel may also include extra mileage charges. Reports Take About 4 Days. When you have your classic car inspected, the appraisal value is part of our inspection process. And its included in the price of the inspection service. Probably the most innovative part of Cars On Line’s approach to doing classic car inspections is the use of photos in the report. From day one, we recognized how important a set of photos taken by the inspector are. Remember, no matter how many photos the seller sends you, what you want to know is what the seller is “not showing you.” That’s where our inspection photos come in. In addition to the standard photos, we ask the inspector to use his knowledge to identify in photo form anything that is “not right” about the vehicle, i.e. pitted chrome, rusted frames, cracks in the dash, saggy headliners, badly hung body panels, etc. Not sure how else to reach you. I was using the search function with a price range, and got several results outside my budget. They were all from perillodownersgrove.com I think you are picking up the monthly payment rather than the price of the vehicle. Not sure if it’s fixable, but thought I’d let you know.